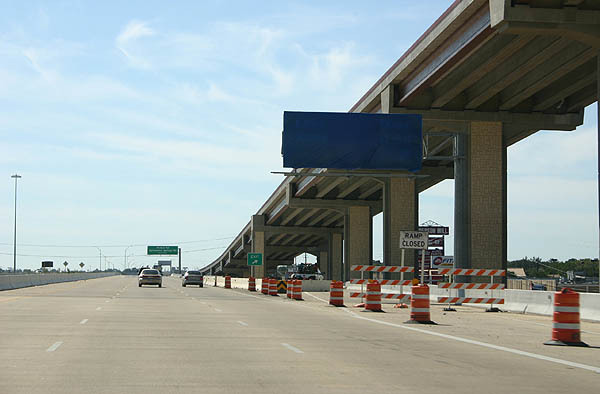 This photo shows the beginning of the US 183 freeway, at the junction with SH 45. Photo taken 09/27/06. 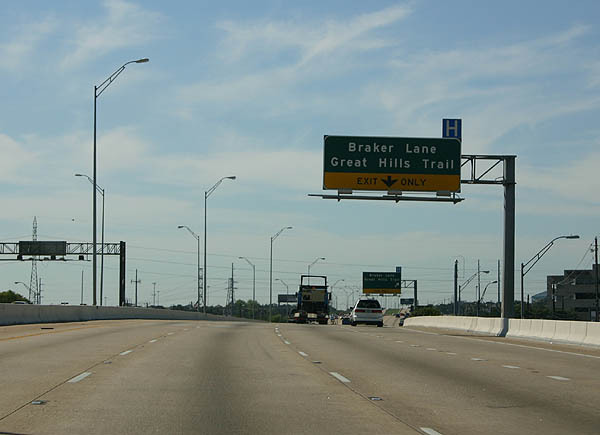 Advance signage for Lake Creek Parkway and Anderson Mill Road. Photo taken 09/27/06. 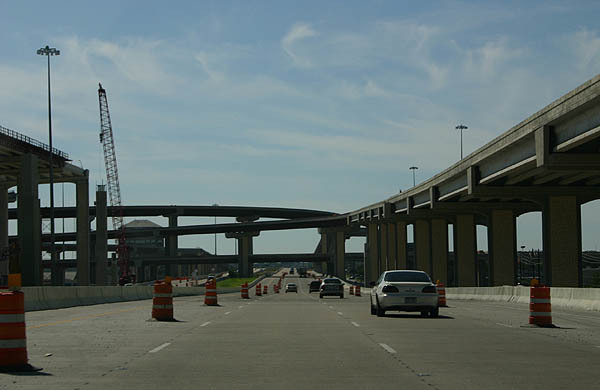 The exit for Anderson Mill Road and Lake Creek Parkway was under construction as of the time of this photograph. Photo taken 09/27/06. 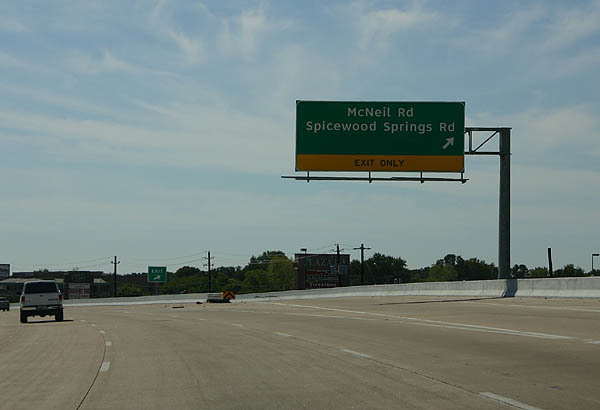 Advance signage for McNeil Road and Spicewood Springs Road. Photo taken 09/27/06. 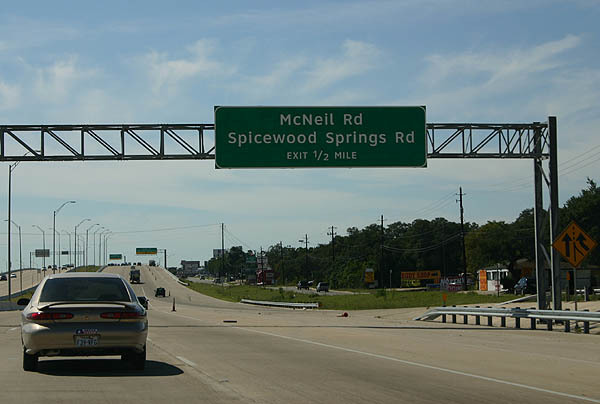 McNeil Road and Spicewood Springs Road exit here. Photo taken 09/27/06. 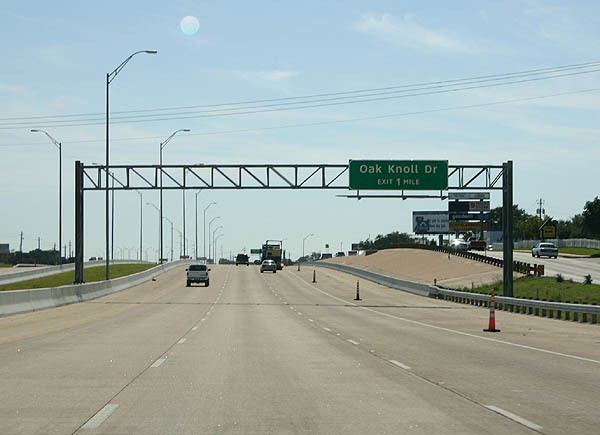 Advance signage for Oak Knoll Drive. Photo taken 09/27/06. 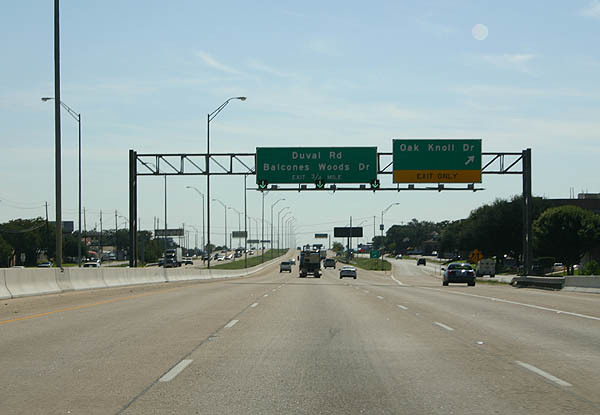 The right lane exits to Oak Knoll Drive. Photo taken 09/27/06. 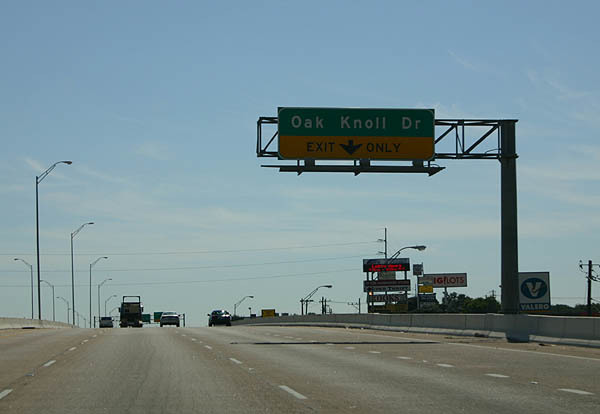 Oak Knoll Drive exits here. Photo taken 09/27/06. 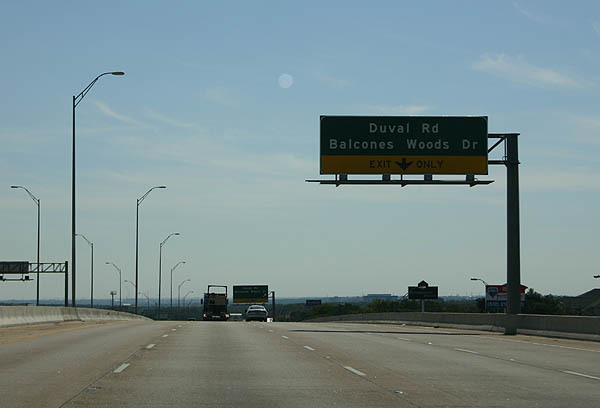 The right lane exits to Duval Road and Balcones Woods Drive. Photo taken 09/27/06. 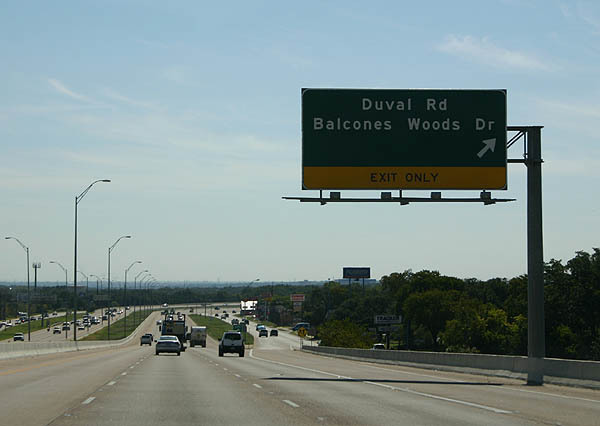 Duval Road and Balcones Woods Drive exit here. Photo taken 09/27/06. 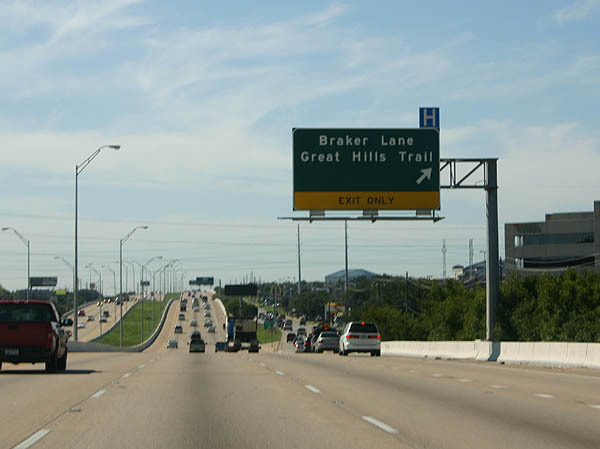 The next exit serves Braker Lane and Great Hills Trail. Photo taken 09/27/06. 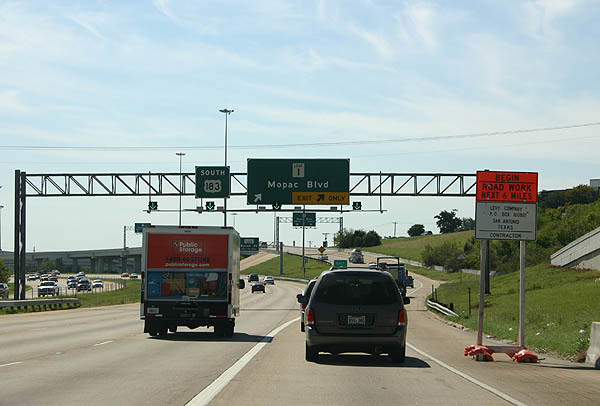 US 183 features auxiliary lanes between exits. Photo taken 09/27/06. 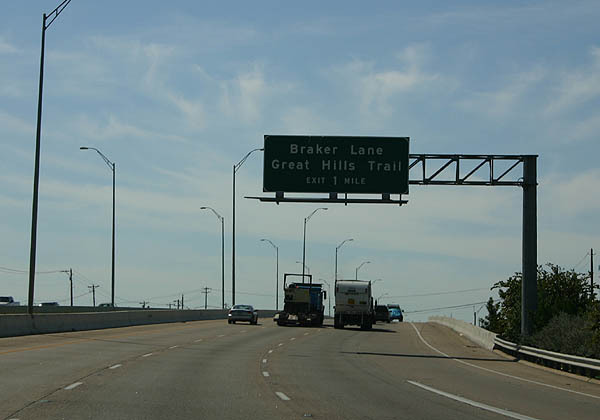 Braker Lane and Great Hills Trail exit here. Photo taken 09/27/06. 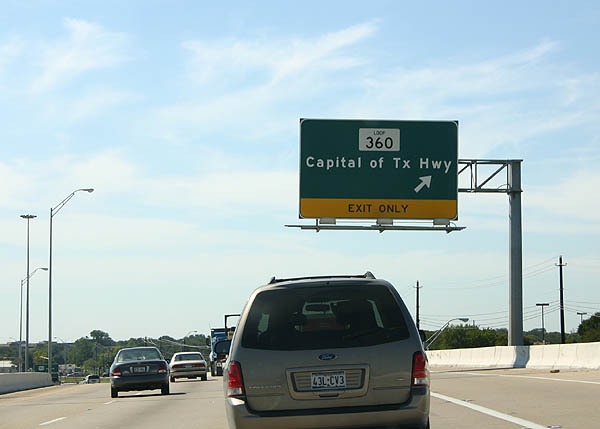 Advance signage for Loop 360, Capital of Texas Highway. Photo taken 09/27/06. 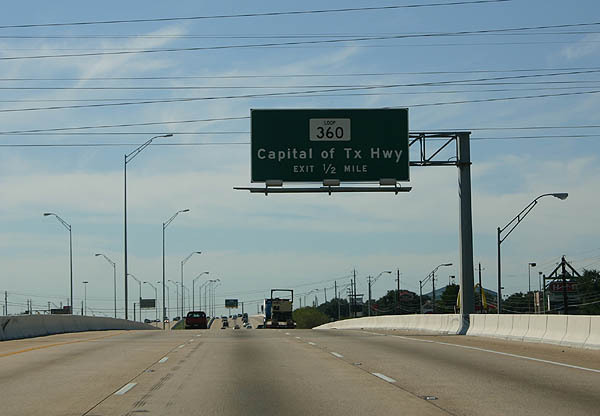 Loop 360 departs here, as the Capital of Texas Highway. Photo taken 09/27/06. 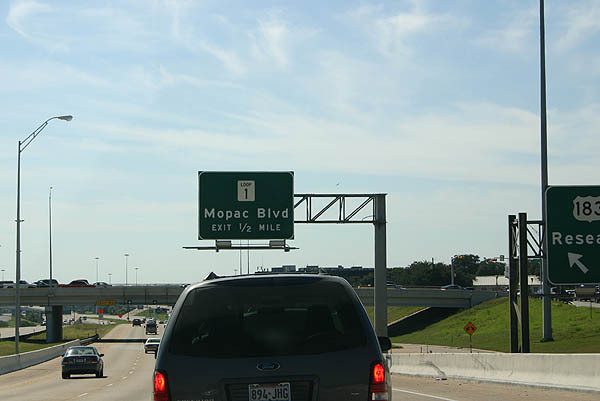 Advance signage for Loop 1, Mopac Boulevard. Photo taken 09/27/06. 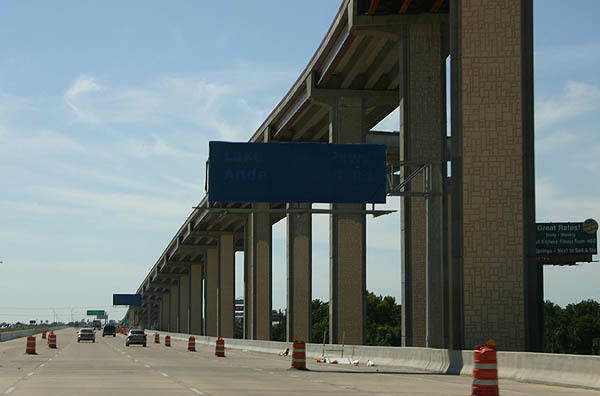 Loop 1 departs here in a four-level stack. Photo taken 09/27/06. 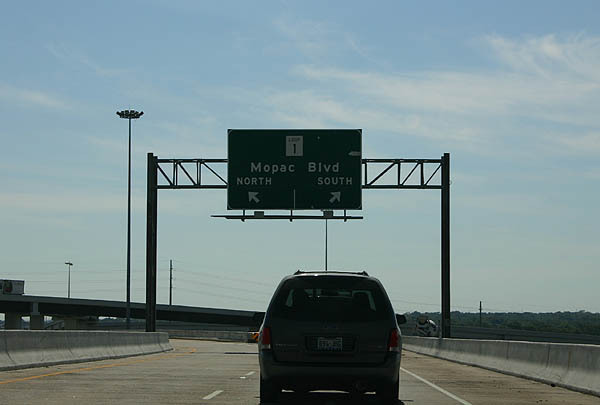 The ramp to Loop 1 splits north and south here. Photo taken 09/27/06. Page Updated December 7, 2006.